We were in Poland for a few days and would need to get to Kiev, Ukraine. We knew there was an overnight train to Kiev, so of course we opted for that over a quick flight. We’re no strangers to train travel and an overnight train from Poland to Ukraine sounded like an adventure. We were right: this trip was unique. The overnight train to Kiev is operated by PKP Intercity. You cannot purchase train tickets online directly through PKP, so we took Seat 61’s advice and booked our tickets via https://www.polrail.com. Polrail is a third party booking company for trains within or to and from Poland. After ordering, you can pick up your tickets at one of their offices in Poland, have them sent to your hotel, or have them mailed directly to your house. Our train tickets arrived at our house from Polrail less than a week after finishing our online booking. We would absolutely recommend Polrail after two great experiences. 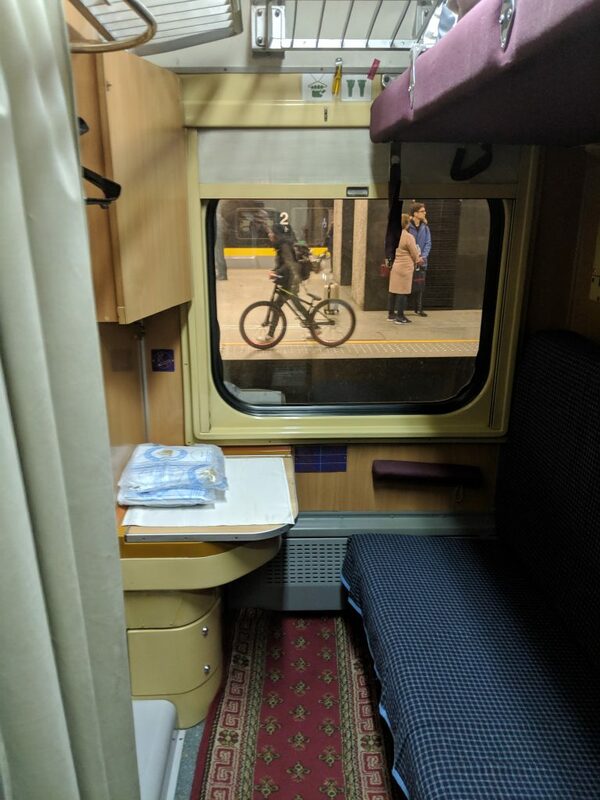 We used them to book this overnight train to Kiev as well as our earlier trip from Budapest to Warsaw. The English version of the Polrail website is straightforward and easy to use. There are typically three train options to get from Warsaw to Kiev, but there is only one direct overnight train, the Kiev Express. The Kiev Express departs Warsaw around 5 PM and gets into Kiev around 11 AM- exact times vary by day. We chose this option because trains are awesome (in our totally biased opinion) and to save on a hotel. 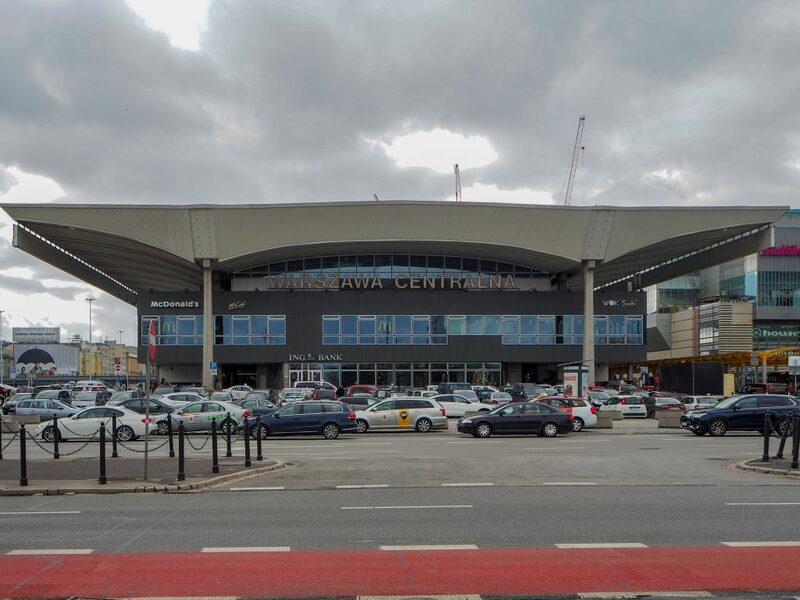 Our journey began at the Warsawa Centralna Train Station, a few days after we had arrived on the overnight train from Budapest to Warsaw. 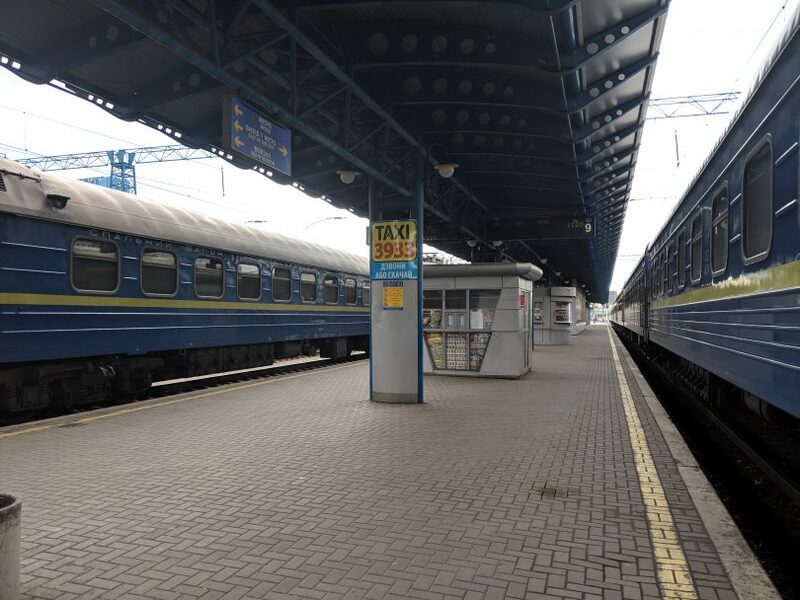 The Kiev Express arrived a few minutes before the departure time- we’d suggest being ready on your designated platform ahead of time and be ready to quickly find your boarding zone to get on the correct car. With bags in hand, we made our way down the corridor to our compartment. It was quickly apparent that his train car was probably a sight to behold for Leonid Brezhnev in the 70’s. Stale cigarette smoke hung in the air and clung to the “vintage” decorative rug in the aisle. However, it seemed clean enough. Our compartment was complete with its own vintage rug in Soviet red. The radiated heater was blasting and it was hot and stuffy. 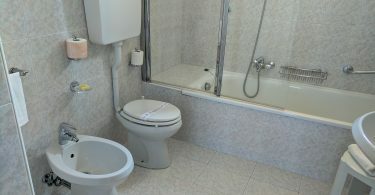 The room was set up for day travel, but the top bunk was pulled down to stow three questionably clean comforter rolls. 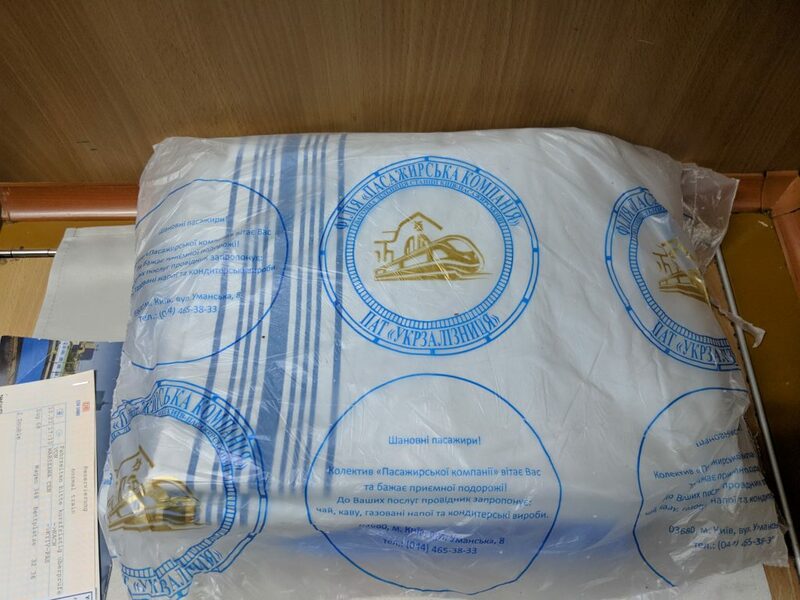 On the sink top were two sealed bags with sheets. Only one of the bags had a pillowcase. At this point, our train conductor knocked on the door. We quickly discovered he spoke about as much English as we spoke Ukrainian. Despite our failing at communication, he was able to let us know he needed our tickets and passports. He held on to our tickets, but after a glance, gave our passports back. While we were still pantomiming, another man in street clothes popped his head around the corner of the door. With a grin on his face, he said, “chay” over and over. At first, I honestly thought he was mocking our inability to speak any Ukrainian. As it turned out, he was another car attendant enthusiastically asking us if we would like any tea. When I embarrassingly figured this out, I politely declined. I did point at the radiator, fanned myself, and said “too hot!” He said, “sorry!” and disappeared down the hallway. This would conclude all staff interaction for the rest of the journey. The train headed out and we got comfortable. In a few hours we would be making our way across the border to Ukraine. 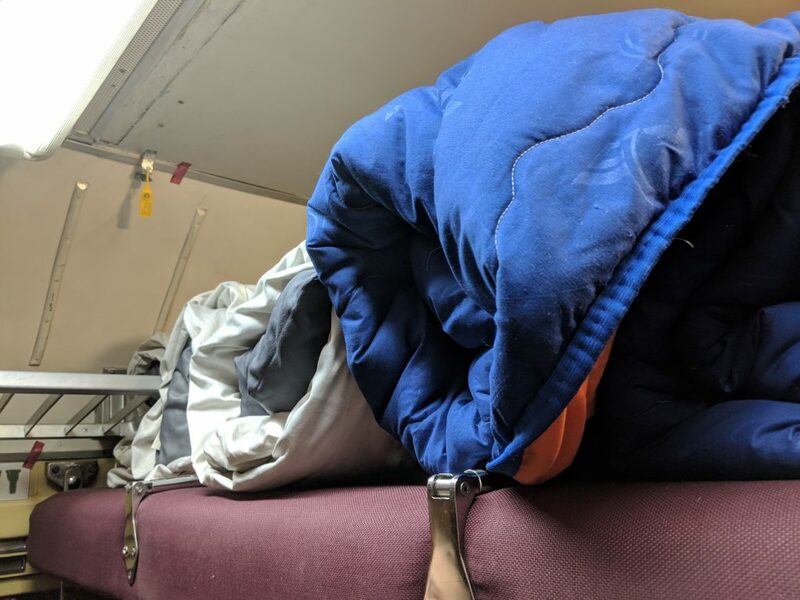 On previous journeys, our train compartments were either already in bed mode or our train conductor would show up and ask us if we would like the beds turned down. This never happened. I am proud to report that around 10 PM our compartment had cooled off and we somehow converted our compartment into sleep mode. We might have missed a step while converting the lower bunk, and for the remainder of the journey the bed was only about two and a half feet wide, but it would suffice for the night. At 10:30 PM we arrived at the Polish side of the border. The train stopped. A few people boarded the train and checked passports and that was that. The train got moving again, on its way towards Ukraine at 11:15 PM. We had read horror stories about the Ukrainian side of the border crossing on this train journey. We had read that you absolutely don’t mention anything about Russia or speak in Russian, and don’t mention that you are going to Chernobyl (if you are). People had been taken off the train to be questioned further and in some cases, never got back on the train. This is the experience we thought was in store for us. We were completely wrong. We crossed the Polish border from Berdyszcze and made our way into Ukraine. At 12:30 AM we came to a stop. We were tired, but began preparing for an intense experience. Our train car was boarded by several official-looking people. Eventually we were greeted by a smiling Ukrainian woman in a long puffy coat. She first asked us something in Ukrainian. 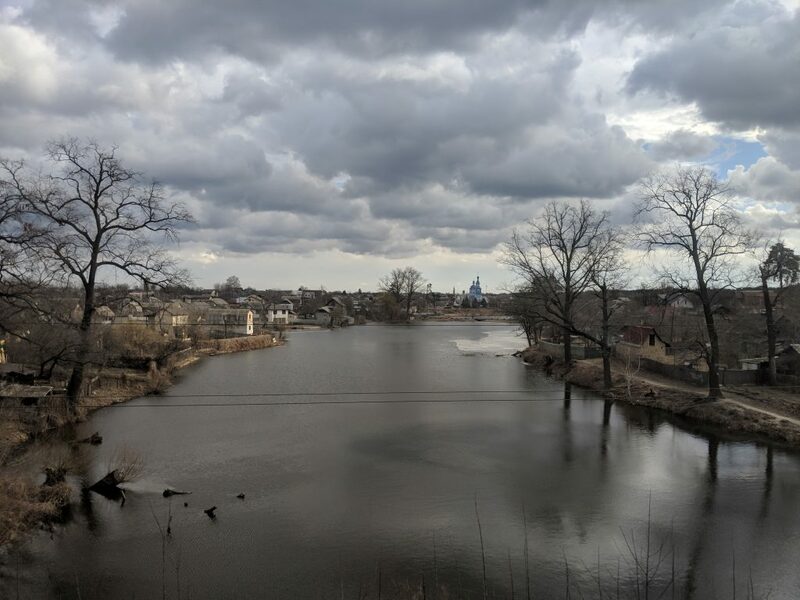 We looked back, exhausted and with confused smiles, trying to remember the Ukrainian phrase for “do you speak English?” She quickly understood and said, “Ahh, English?” With almost no accent discernable to us Americans, she asked if we were tourists or students. We quickly answered, “tourists”. She smiled back, made a quick glance around our compartment and was on her way. After a few minutes, a man who looked much more official showed up at the compartment door. We figured this was when things were going to get interesting. He was wearing tactical gear, a bullet proof vest, and was carrying a stack of open passports a foot and a half tall. Seriously. Someone either told him the Americans were in that compartment, or our American-ness was glaringly obvious. He looked at us, smiled, and in English asked for our passports. We handed them over, he glanced at them, added them to his stack and moved on. A few minutes later, our train creeped forward and came to a stop in a large covered garage. It was now time to have the bogies (trucks) changed to fit the Ukrainian gauge rails. 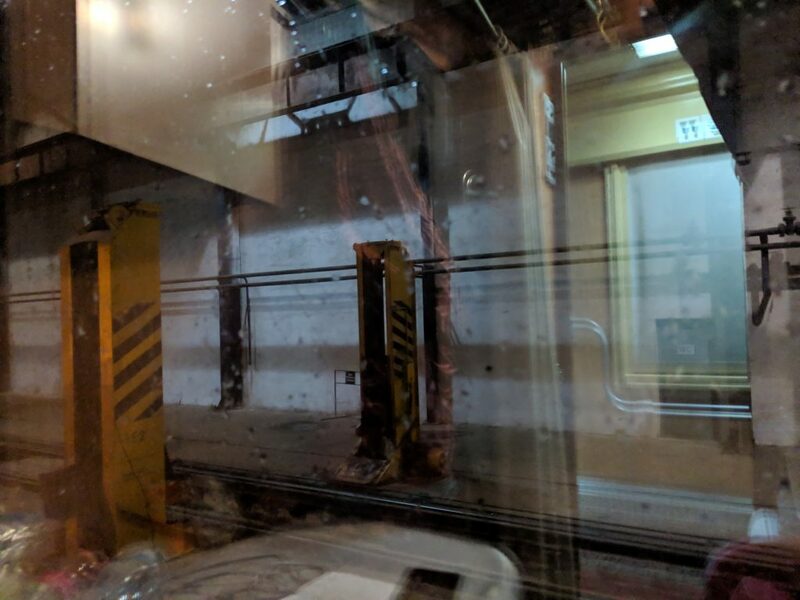 After some loud noises, jerks, and watching our train car lifted several feet in the air, at 1:45 AM our train was physically ready to continue into Ukraine. We still didn’t have our passports back. The train lurched and made its way out of the garage to come to a stop in the dark, somewhere just past the Ukrainian border. We wondered if the backroom interrogations were yet to come. At 2:10 AM, we heard people boarding our train car. The same man who took our passports appeared in our doorway. He smiled, handed our passports back, and in English told us to “get some sleep”. That was the finale of the intense Ukrainian border crossing we had been anticipating. With his blessing, we both dozed off. At 4:15 AM, I woke back up when our train finally came to life for the final leg of our journey. I have no idea what happened in those two hours while I was sleeping. Maybe some were taken off the train and questioned. Maybe some of them didn’t get back on. We didn’t see any of the reported burly guards roughing up passengers, so we can only speculate. In truth, while the border crossing took hours, it was no big deal and everyone we met was extremely kind and friendly. This would become a theme of our time in Ukraine. I slept soundly and around 9 AM I slowly woke to the morning sun and the Ukrainian countryside passing by. We made it through the remaining few hours by working on our Cyrillic comprehension and laughing at how easy the border crossing ended up being. 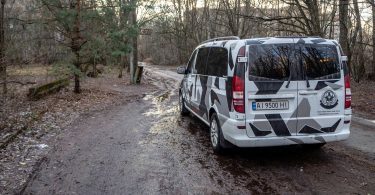 We arrived at the Kiev-Pasazhyrskyi railway station about 15 minutes later than scheduled and quickly made our way to meet our guide to tour Chernobyl. This train journey was an adventure, and we’d definitely recommend it. It wasn’t the nicest train we’ve been on, by far. We had to turn down our beds, the quilts were questionably clean, there wasn’t even water available for purchase, and as long as you were kind of near an open window, smoking was cool. 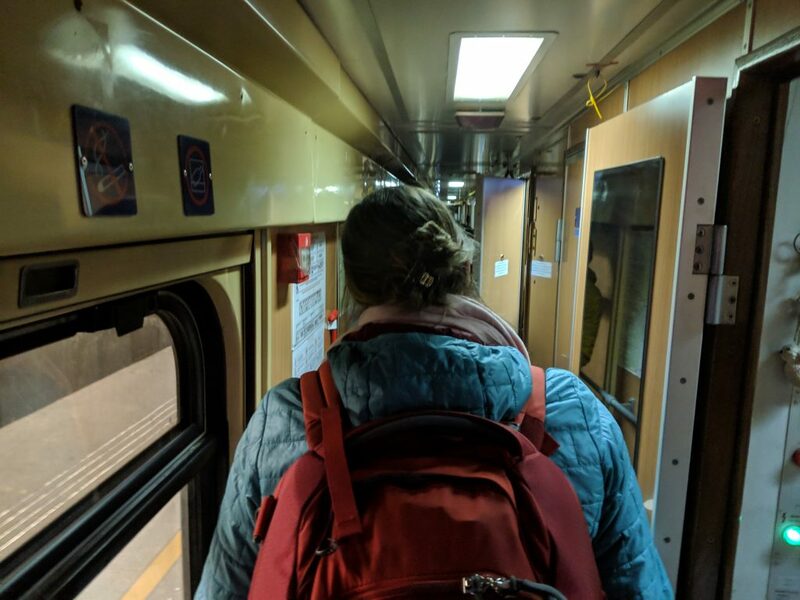 If you’re lucky, we’ve read that they also run this route with the much newer train cars we experienced on our Budapest to Warsaw overnight train journey. Despite all that, this is absolutely our most memorable train journey. If you’re debating whether to fly from Warsaw to Kiev or take a train, we would suggest taking the train. This one in particular was great due to the difference from “typical” European overnight trains. The experience was gloriously authentic and had us scratching our heads and laughing. If we are offered the choice between a unique train ride and a forgettable flight, we’ll always take the train.